Have you experienced staying in a hotel with limited service? 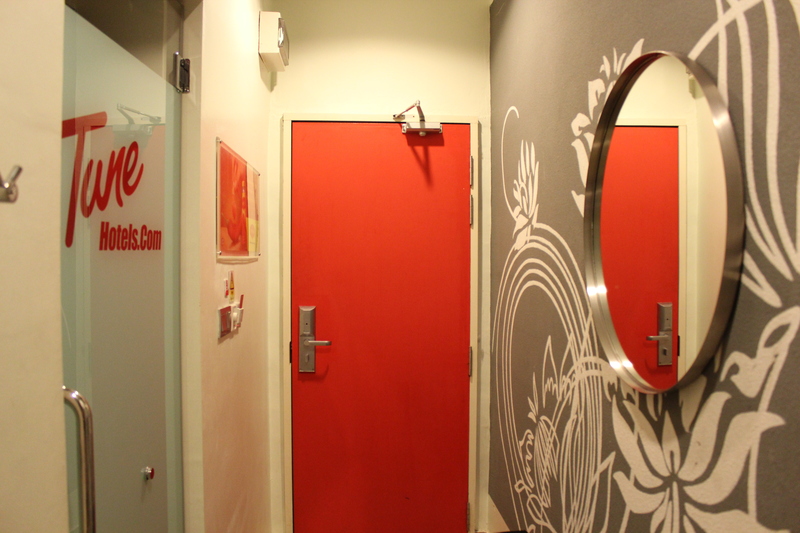 If you want a “5-star sleeping experience at a 1-star price”, tune your attention to Tune Hotels. Tune Hotels offers limited service which means they will only charge you the minimum price you need to pay for your bed, room, a/c, table, electricity and security without the need to pay for other amenities that you barely use. So for example, you will not be charged with usual hotel toiletries if you brought your own toiletries. Other amenities are 12 or 24 hours air-conditioning, TV and internet access. This concept is what they call “pay as you use” which frees you up from the unnecessary costs on things you won’t even utilize in the first place and pay only for those you will need. The same concept is also being used in AirAsia airline which is becoming one of my go-to airlines for cheap but excellent flight service. Actually, AirAsia and Tune Hotels are under one roof of management and they are currently taking more and more market share in travel industry. When we were in Malaysia, I remember the receptionist explaining their service from a long folder of laminated papers drawn with very simple graphics. Their service looked complicated at first but they explained it very simply. This kind of service is not only evident from the way you book room but also in the interior of the hotel. No decorations at all except for the illustration painted on gray walls of the rooms. All walls are painted with bland red, white or dark gray colors. If they would put up paintings and decorations, think about how much would that add up on the prices. ← Oops..saw some things in Japan!